Seriously , I’m ready to forget s’mores after making these sweet grilled chocolate-strawberry paninis with mascarpone. Starting out with four slices of French bread, I buttered one side of each. 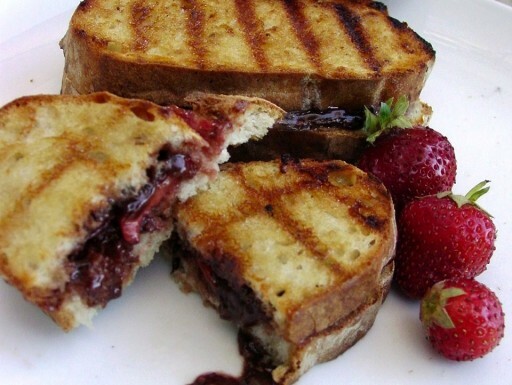 Then I spread strawberry jam on the non-buttered side of two pieces and then added slices of strawberries. Over the top of the strawberries, I sprinkled chopped bittersweet chocolate. Next, I spread mascarpone over the plain side of the remaining slices. I put the sandwiches together and then added brown sugar to the buttered sided before grilling. 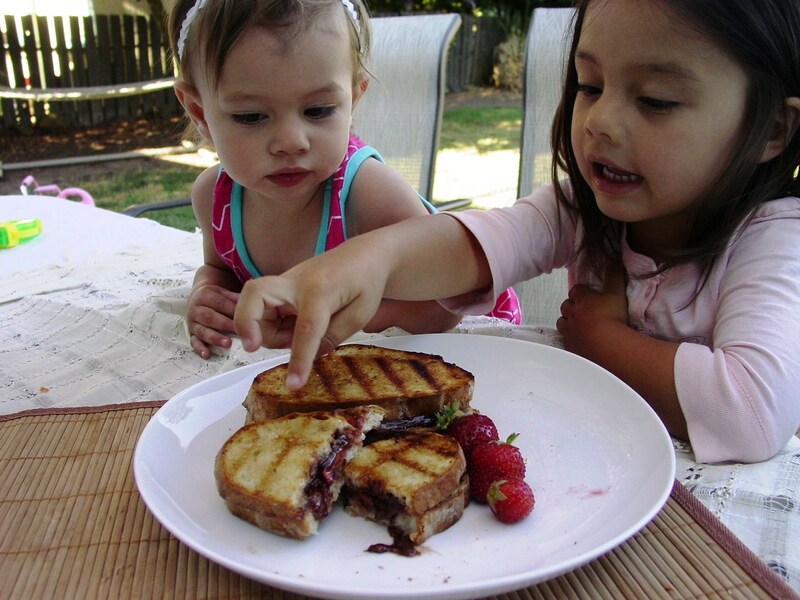 Kira and Naia deciding who gets which panini. Looks amazing! I love when people are willing to venture into ‘new’ bbq/grilling territory: meatless and sweet. Can’t wait to try it! Oh this looks soooo good! Looks like it will just melt in your mouth! Great job!!! That looks good. I’d like to try this as a peanut butter / jelly sammich. Especially with the chocolate and maybe some bananas. Sounds like Ish’s dessert and this one should procreate. This looks and sounds so amazing. I will be making this on Friday night! Awesome job! I’m doing this ASAP, looks awesome! The brown sugar is a great idea.